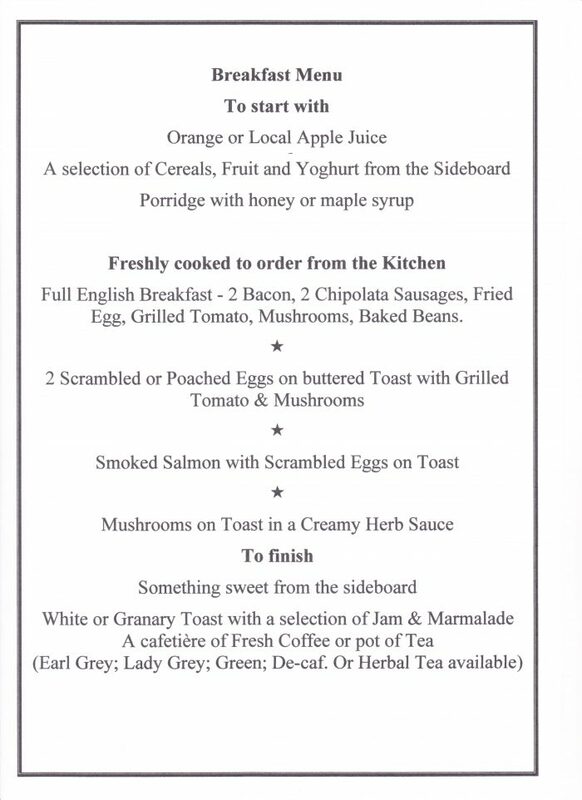 Breakfast at the Old Vicarage at Rye Harbour is served in the Dining room every day between 8.00a.m. and 9.30a.m. 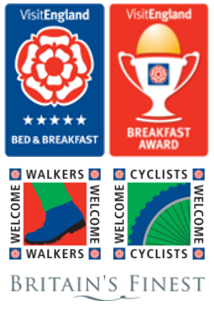 If you would like your breakfast earlier, please ask and we will do what we can to make sure that you are catered for. If you would prefer to have breakfast in the comfort of your own room we are happy to bring you a selection of cold items on a tray. It is our intention to provide exactly the breakfast you need to set you up for a good day. To this end where the best tasty ingredients can be sourced locally we do so. Our menu below gives an idea of the selection available which we supplement with additional items when in season. 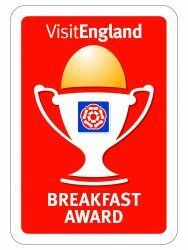 We were delighted to be awarded a Breakfast Award after our 2016 Visit England inspection, which recognises the quality and range of produce offered. If there is anything that you would especially like to be included, or if you have any special dietary requirements please let us know.